SIPs or EMIs? Which is the better alternative? 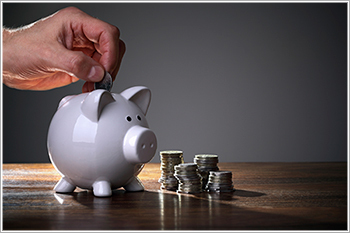 People usually invest in SIPs to achieve goals that are fairly distant in nature and for which you can afford to save in advance rather than pay EMIs. In this generation of easy credit, buying a car or a 52” LED television no longer entails saving up for years on end. The common man simply walks into the store and gets the high-ticket price converted into smaller and easily payable equated monthly instalments or EMIs. These EMIs are then repaid over a fixed tenure along with some additional interest on the principal amount. On the flipside are systematic investment plans or SIPs. People usually invest in SIPs to achieve goals that are fairly distant in nature and for which you can afford to save in advance rather than pay EMIs. This could include that 10-day stress-buster holiday in Europe, buying your dream home or car, child’s education/marriage, and so on. While the above-mentioned are the most common uses of EMIs and SIPs, people tend to also mix and match their goals and means. Many buy their first car with the returns they earned on their SIP investment after maturity. Similarly, a large number of people take a travel loan and then pay EMIs for the fixed tenure. Let us consider the pros and cons of both methods and find the ideal means for you to achieve your financial goals? SIP or EMI – which should you choose? Let us understand this with the help of Ajit’s example. Ajit wishes to buy a car. He too has two options for it. He could either take a car loan and repay it through EMIs or invest in an equity mutual fund through SIPs and buy it after the fund matures. As you can see, through the EMI route, Ajit has to not only pay back the loan amount but also has to pay an additional interest of Rs1,84,780, which is roughly around 23% of the principal amount. However, the benefit of this method is that he will be able to get the car immediately. Instead, if Ajit decides to be patient and plans his purchase through SIPs into equity mutual funds, he would have accumulated a corpus of around Rs14.71 lakh at an investment of Rs9.84 lakh. The drawback here is that that he would have to wait for five years before buying the car. Moreover, even if we consider inflation to increase at 6% during this time, the price of the car would be Rs13.38 lakh and Ajit would have not only bought the car by paying for it in full, but would have also earned an additional Rs1.33 lakh. Ajit chose the SIP option because he could afford to wait for five years. However, if you feel that you might not be able to wait that long to realize your goal, EMI would prove to be a better option. For electronic products such as refrigerators, smartphones, televisions, etc., credit card companies also offer zero-cost EMI options. This means that you would not have to pay any interest on the EMI. For your high-ticket urgent needs, this option seems to be the best as it saves you from letting go of the extra charges that you would have paid under a normal EMI scheme. You can start a SIP too, for as low as Rs500, and save for your needs and wants. This would not only inculcate financial discipline, but also give you significant returns in exchange for long-term investments.